Requestec, an Adobe Flash-to-SIP telephony provider, announced their key involvement in the release of Bell Mobility’s, Bell Video Call application built on the Facebook platform. The application allows Facebook users to visit the profile page of a Bell subscriber that has added the application and click on their Bell Video Call tab. From here, calls can be made from anywhere in the world to the Bell subscriber’s HSPA Video Calling handset; all at no cost to the caller. The company claims it’s the first video calling application in North America that is fully integrated into Facebook. Intel and Numonyx, a provider of memory technologies, announced a key breakthrough in the research of phase change memory (PCM), a new non-volatile memory technology that combines many of the benefits of today’s various memory types. 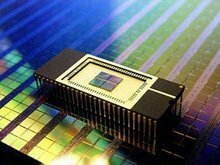 For the first time, researchers have demonstrated a 64Mb test chip that enables the ability to stack, or place, multiple layers of PCM arrays within a single die. Texas Memory Systems announced that its RamSan-620 Flash Solid State Disk (SSD) has submitted a record setting SPC-1 Result. 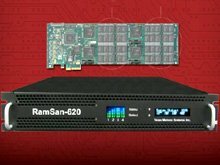 Launched in August, the RamSan-620 produced 254,994.21 SPC-1 IOPS with Average Response Time of 0.72 milliseconds all from a 2U rack-mount chassis and delivers its performance at a cost of only $1.13 per SPC-1 IOPS. Akamai Technologies has launched the Akamai HD Network, its next generation video delivery offering and the first platform to deliver HD video online to viewers using Adobe Flash technology, Microsoft Silverlight, and to the iPhone, at broadcast-level audience scale. The new HD Network combines Akamai’s patented HD EdgePlatform, adaptive bitrate streaming and DVR technology. It supports live and on-demand HD streaming. Adobe has designed a new version of its Flash animation technology that will enable HDTVs, Blu-ray player and other electronics device to stream content directly. The development means that webcasters, such as Hulu, will be able to compete more evenly with traditional broadcasters. This year’s Mobile World Congress is now underway and already there has been a flurry of announcements and launches from some of the big names lining up in Barcelona. Vodafone has unveiled a raft of new mobiles, including its first own-branded consumer GPS phone – the Vodafone 835. Bitstream Launches "Fastest Mobile Browser"
Bitstream is launching its new BOLT mobile browser today with the claim that it is the fastest on the market. Sampo Kaasila, VP of R&D at Bitstream told smartphone.biz-news, that the new browser was "25-50 per cent faster" than competitor Opera. 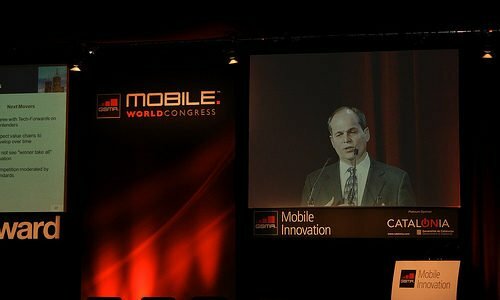 Speaking at Showstoppers on the eve of Mobile World Congress 2009 in Barcelona he said this was backed up by tests carried out in India. ARCHOS, the company that "invented the PMP", is to bring out a touchscreen smartphone based on the Android operating system. The new ultra-thin Internet Media Tablet (IMT) will allow playback of HD video while offline. TringMe has announced a method of marrying VoIP with PHP – VoicePHP. The Bangalore, India-based startup, describes VoicePHP as an extension of PHP that now outputs voice instead of text and also takes input as voice instead of text.